Strip away its poppy Viking folklore and state-of-the-art animation and the ‘How to Train Your Dragon’ franchise has always boiled down satisfyingly to a simple riff on a ‘Black Stallion’-like tale of a boy and his scaly pal. So the prospect of Berk villager Hiccup (voiced again by Jay Baruchel) and Toothless, his dragon, reuniting nearly a decade on from the first film should be the cue for teary goodbyes and a nostalgic look back at friendships made and foes flambéed. 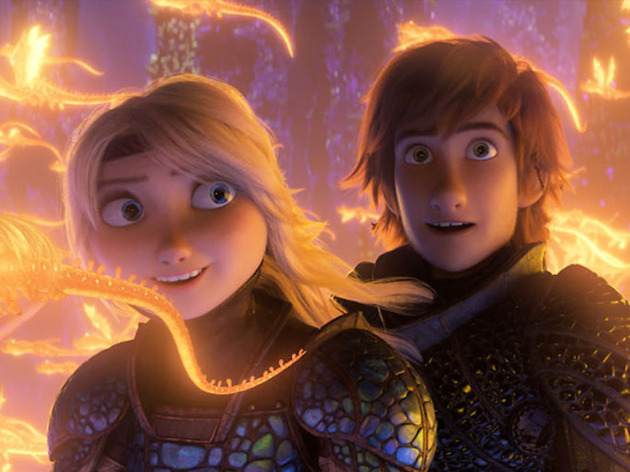 It’s semi-successful, though that central heartbeat struggles to make itself heard over the din of half-explored subplots and the increasingly annoying banter of Hiccup’s teen tribemates. There aren’t many concessions to franchise newbies in an opening that’s light on ‘previously in Berk’ catch-ups. The Hidden World, we learn, is the utopia to which Hiccup, the settlement’s newly established chief, must lead his clan when an infamous dragon hunter called Grimmel (F Murray Abraham) appears on the scene. Their journey is complicated when Toothless falls for Light Fury, a mysterious female dragon with cloaking powers. 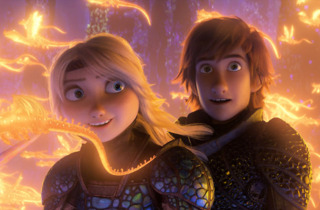 Hiccup becomes part love guru, part third wheel in a dynamic that lends the movie its best and most charming moments. It’s the visuals, though, that really soar. With master cinematographer Roger Deakins again lending his eye as consultant, the camera weaves in and out among photo-real flora and fire-breathing fauna. The titular land is a Smaug cheese dream of bioluminescence and swooping dragons. A sparkling airborne sequence has the two courting dragons all but dancing under the Northern Lights. If Fred and Ginger had been able to fly and breathe fire, it’s the kind of thing they might have pulled off.